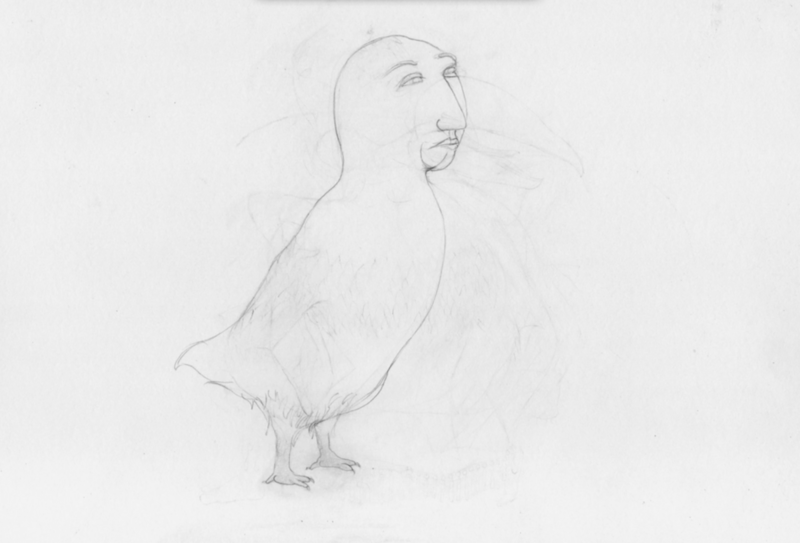 Pippa Little visits Alice Maher’s mid career retrospective at IMMA which charts her focus on materials in metamorphoses. Intense moments of drama recur in ‘Becoming’ Alice Maher’s mid­career retrospective. The exhibi­tion presents over two decades of Maher’s development where she has continually drawn from the cycle of life focused through the lens of female experience. 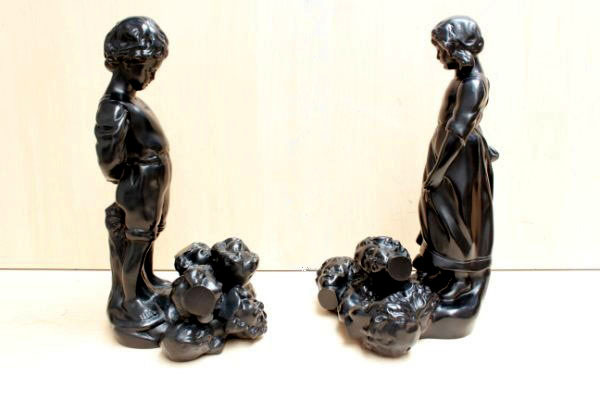 One of Maher’s strengths is to take an inconsequential material and by transforming it into a fragile object, bestow it with symbolic importance. In an interview with Brian McAvera in Irish Arts Review Autumn 2008, she described a significant moment in her practice when ‘the history of materials came into focus for me’. 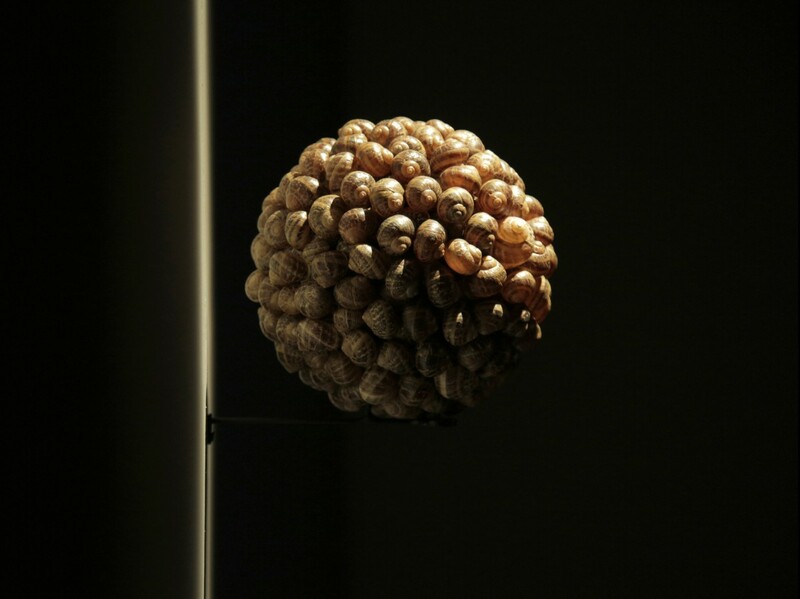 This awareness of the beauty and ugliness inherent in the evolutionary process is palpable in The Four Directions (2004–2005), a sculpture composed of stripy snail shells, coiling into a poised, elaborate cone. Spectacularly lit and black-shadowed against a grey-green background, this work offers the visitor a visceral introduction to the multiple stories unfolding within the former lecture rooms of the old Medical School in Earlsfort Terrace. Maher’s artwork compels the viewer to consider their own mortal­ity, which enhances the joy of living. Mnemosyne (2002) appears to float, stark white in a dark room. Placed in the atrium it is visible from either end of the long central corridor. 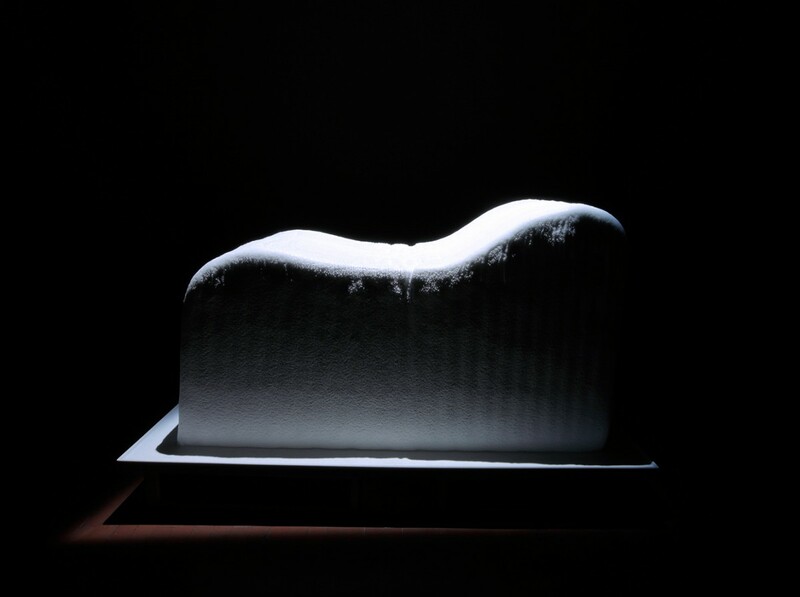 The frozen bed implies both preservation and decay; without the life support of electricity to the refrigeration unit, the artwork begins to melt. Within the circular route of the main space, other architectural fea­tures are used to heighten particular features of the artworks. An unusu­ally long wooden table becomes a plinth for the small-scale statues and the severed bronze heads of Godchildren (2010) and the rose thorn curves of Mound (2000) gain from their positioning on scuffed, wooden floors near iron fireplaces with green and red brick. Berry Dress (1994) is fixed to a wall and lit to expose its interior pins. It is in a state of transformation; composed of shrivelling autumnal berries, poignantly suggesting seasons of the year and constant loss. The video Flora (2009) features a series of tum­bling metamorphoses. These are cap­tivating and disturbing, providing a sense of disintegration between the interior and exterior of the body. 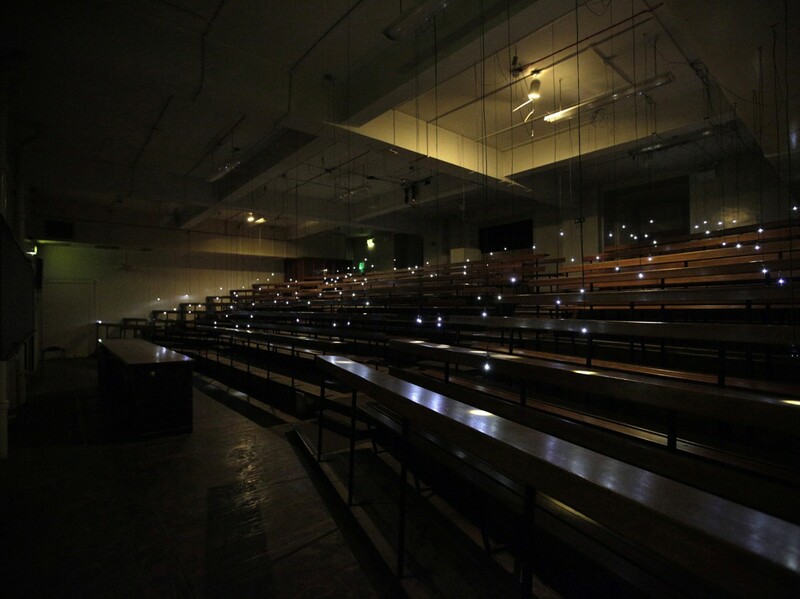 In the new site-specific commission, L’Université (2012), suspended bulbs hover in tiers in the gloom of a former lecture hall, celebrating absent, ras­cally occupants. The pools of light capture fragments of graffiti left by long-gone students, carving and mark­ing their varnished desks. The artist's selections encompass the tensions of youth, age and mortality; for example in the flippant dark humour of ‘Pathology is great despite the coma­tose lecturers’ a phrase that will vanish back into the chaos of multiple comments when the lights are removed. The smell of lectures leaks from the room: varnished wood and chalk. Cassandra (2012) is a major new film commission for IMMA. This fea­tures shots of sumptuous pink, grey and black-flecked lambs’ tongues stacked on a platter, pink and white French-manicured fingernails and conker-brown varnished toenails, red berries staining as they are consumed and a scratchy, pen marked volcano rubbed into the skin. In this work, a tension is orchestrated between the surface of youth, the cursed gift of prophecy and the knowledge of Cassandra’s inevitable, tragic end. ‘Becoming’ offers an absorbing account of artistic progress, of persist­ent curiosity and seeking. There is a confidence, an intuitive knowing, drawn from Maher’s experience. 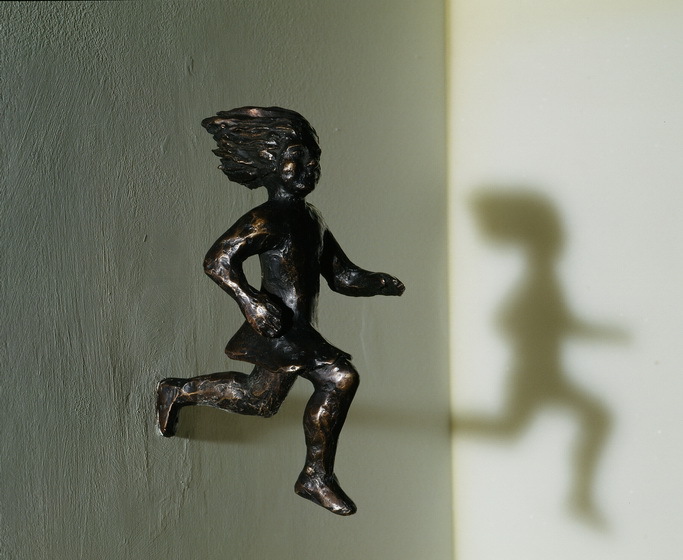 A final rebellious female figure, a tiny bronze (Running Girl, 1995), appears to joyfully sprint into the future. She triumphantly prevails, an intense focus of attention, victorious over the entire sprawling space.